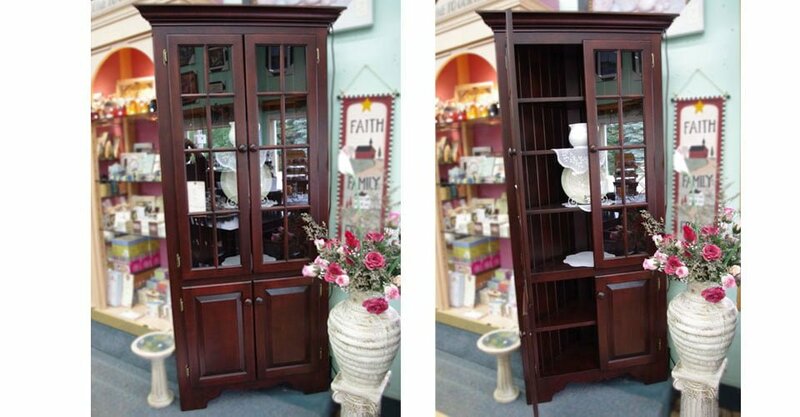 Ideal for a small room this corner hutch and buffet handcrafted from solid maple is a great place to store your dishes and serving plates. It is also available in oak ,cherry and wormy maple. Extras include glass shelves and potlights as well.